2. BLAND JOB DETAILS: “Responsibilities included overseeing construction of 4 Hilton Hotels in Abuja City Area, each 50 floors in height.” Yeah? So what? That doesn’t say if they went up on schedule or if you brought the projects in under budget. It doesn’t say if you took all four from site work up or if the guy handling two of the four hotels was fired and you were promoted to overseeing all four. Differentiate yourself from the others coming in to interview. If you don’t tell the hiring company how you will be an asset to them, how will they know? 7. SKIP THE PERSONAL INFO: You might think your weekend football coaching or your church choir participation shows you’re an interesting and well-rounded person, but they’re irrelevant. If the interviewer wants to know who you are as a person, aside from the job interview and your qualifications, he’ll ask. 10. 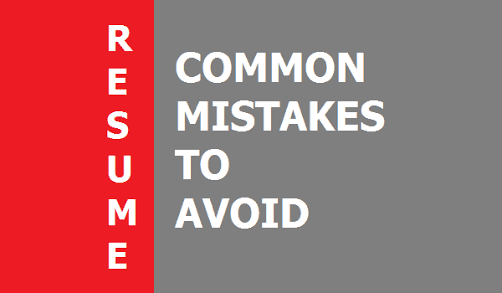 GETTING YOUR RESUME OUT THERE – part one: Don’t use one of those resume blaster things. Half of those sites they blast it to aren’t even valid. You don’t know how it will come out on the other end. You don’t even know where it’s going or if the landing targets are employment related. It’s bad form and just….NOT the way to find your perfect job. Finding your perfect job takes focus, attention, detail, individuality, tailoring, specifics. Resume blasting is about as far from that as you can get. 12. GETTING YOUR RESUME OUT THERE – part three: If you know the company, call and ask if they prefer email, fax, or snail mail. I know a recruiter who never even opened his email. He received so many resumes emailed to him cold (so NOT pro-active) that he just did a mass delete every morning. Candidates contacted for a specific search were requested to snail mail their resume to him. How about that? I’ll bet less than 10% of those who emailed their resumes even bothered to follow up to see if it was received (this isn’t a numbers game). 13. RESUME VISUALS: Ivory paper. Black ink. Individual pages. No plastic, BSc, science report cover with the plastic slider or metal push down tabs. Your name centered at the top, not on a cover page that says “Introducing Funsho Lewis Montgomery III”. No exceptions. Your resume is a professional document, not a school book report or an art project. Until every resume is done this way, yours will still stand out in the crowd. Of course this assumes you meet the requirements for the job – otherwise it doesn’t matter how good your resume is! The resume is what gets you in the door. If your resume is poorly written, looks sloppy, is difficult to read, is cryptic in any way, or necessitates being slogged through to learn your information (they won’t bother), you won’t even get in the door. And how can you decide whether you like the company, if they’ve already decided they don’t like you?